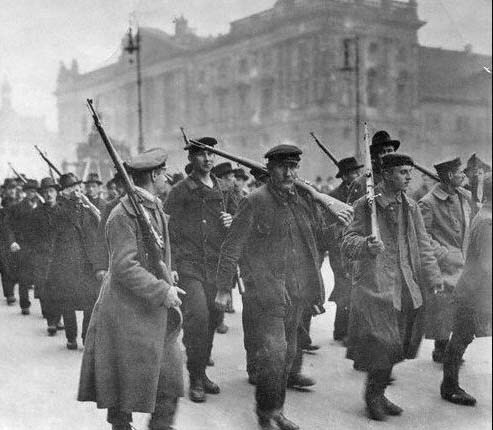 Berlin November 1918: Workers and sailors join in revolutionary uprising. Read more on World War I. For more articles by John Riddell, click HERE. December 2, 2014 -- Johnriddell.wordpress.com, posted at Links International Journal of Socialist Renewal with the author's permission -- During the first four months of the First World War, no statement from German socialists appeared denouncing the war. 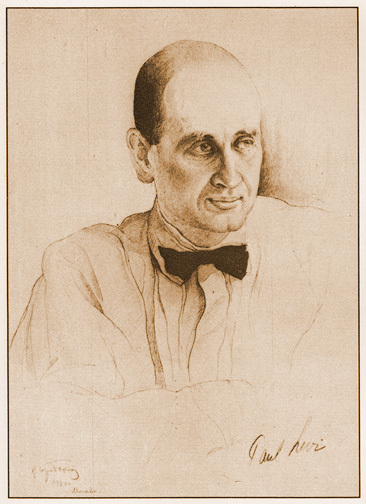 Government repression and the bonds of Social Democratic Party discipline prevented anti-war voices, such as those of Rosa Luxemburg and Karl Liebknecht, from gaining a hearing. This changed 100 years ago on December 2, 1914. Liebknecht took a bold stand against the slaughter as the first deputy to vote in the German parliament (Reichstag) against allocating funds for war spending. His protest resounded across Europe and gave new hope and energy to socialist antiwar currents. 2/2/2014 -- http://www.sinpermiso.info -- En 1921, cuando la Internacional Comunista (Comintern) celebró su III Congreso Mundial, Clara Zetkin era la comunista más respetada fuera de Rusia. Sin embargo, fue víctima en vísperas del congreso de grandes esfuerzos para vilipendiarla y apartarla de la dirección de la Comintern, e incluso del movimiento comunista. No obstante, fue, junto con Lenin y Trotsky, una de las figuras intelectuales más destacadas del congreso. Examinaremos el papel de Zetkin en la gran lucha ideológica del III Congreso y su conexión con su participación en el movimiento por la emancipación de la mujer. Zetkin había ganado una gran reputación como la principal dirigente del movimiento internacional de mujeres socialistas antes de 1914. Se convirtió en uno de los defensores más eficaces del internacionalismo socialista durante la guerra. Ayudó a formar el Partido Comunista Alemán y fue uno de sus líderes más prominentes. 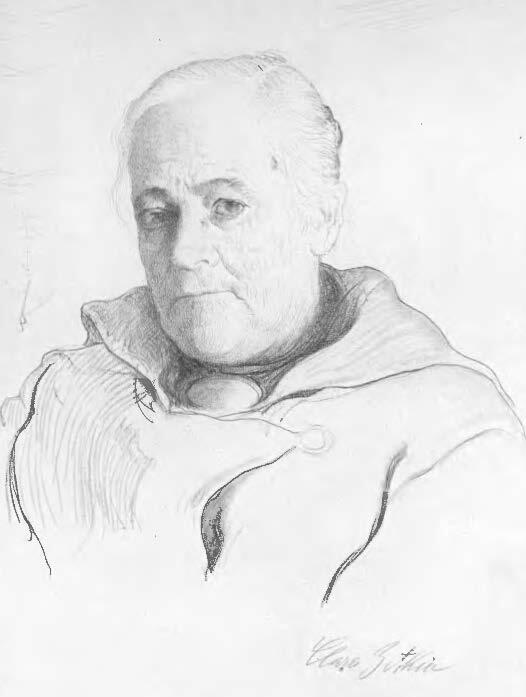 Click on the following links for more articles on feminism, the Communist International, Clara Zetkin and John Riddell. January 14, 2014 -- Johnriddell.wordpress.com/Links International Journal of Socialist Renewal -- In 1921, when the Communist International (Comintern) held its Third World Congress, Clara Zetkin was the most widely respected Communist outside Russia. Yet she was the victim of vigorous efforts on the eve of the congress to vilify her and drive her out of the Comintern leadership, if not from the movement. Nonetheless, she ranks, together with Lenin and Leon Trotsky, among the dominant intellectual figures at the congress. Let us survey Zetkin’s role in the great ideological struggle at the Third Congress and then link it to her involvement in the movement for women’s emancipation. Part 1. John Riddell. Parts 2 and 3 below. Paul Kellogg, author of “The Only Hope of the Revolution is the Crowd: The Limits of Žižek's Leninism”, International Journal of Žižek Studies . More by John Riddell. More by Paul Kellogg. Sponsored by Education Committee of the Greater Toronto Workers' Assembly. October 2013 -- New Politics, posted at Links International Journal of Socialist Renewal with the author's permission -- During normal times in a capitalist society, skill and drive are harnessed by the corporations, the labour union bureaucracy and the political parties, but when the crisis comes a revolutionary party must harness the most talented and most ambitious for its purposes. The idealistic and the opportunistic, the selfless and the self-aggrandising, the ruthless and the kind, the brave and the cowardly among those most determined and striving souls must somehow be made use of for the higher purposes of the revolution and ultimately for of all of humanity. The revolutionary movement must bring out the best in them, for we are the only material we have. This talk was part of a panel on “Paul Levi and the German socialist movement” at the Socialism 2013 conference in Chicago, June 28, 2013. The other speakers at this session were Jen Roesch and Paul Kellogg. You can listen to the full panel below, thanks to Wearemany.com. Haymarket Books is now taking pre-publication orders of Toward the United Front: Proceedings of the Fourth Congress of the Communist International, at US$50, a 10% reduction. It is due to be released in November 2012. To take advantage of Haymarket’s offer, go to Toward the United Front, order the book, go to “check-out” and enter RIDDELL2012 in the “coupon code” field. To recommend the Brill hardcover edition to your favourite library, go to Brill Academic Publishers and click on “recommend”. Toward the United Front will also be available from Resistance Books in November. May 28, 2012 -- Links International Journal of Socialist Renewal/johnriddell.wordpress.com -- Some familiar issues were addressed with originality and new vigour at the Historical Materialism conference in Toronto on May 11–13. Attendance at the three sessions on revolutionary history, organised by Abigail Bakan (Queen’s University), ranged between 30 and 75 of the 400 conference participants. Given that eight of 11 presentations had a European focus, the discussions were opened fittingly by Montreal scholar Daria Dyakonova with a paper on a little-studied aspect of revolutionary history here in Canada: the birth of communism in Quebec. The pioneers of this movement faced objective obstacles, including severe repression and formidable opposition by the Catholic Church. 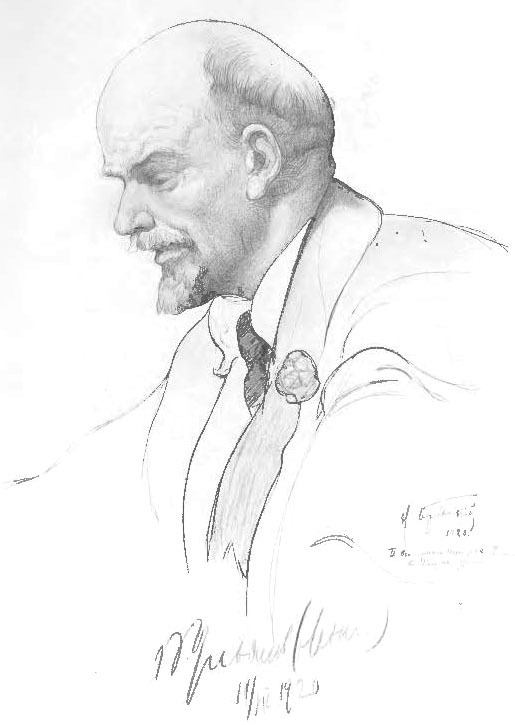 In addition, Dyakonova explained, “after Lenin and especially after 1929”, the Canadian Communist Party’s “policies were determined from Moscow”. The line dictated by the leadership of the Communist International (Comintern) was “often at odds with national or local needs”. Towards the end of 1921, an attempt was made to shift the burden of debt to the working class through higher sales taxes. The German Communist Party opposed this, demanding instead an increase in the tax on wealth and the seizure of assets. April 26, 2012 -- Links International Journal of Socialist Renewal/johnriddell.wordpress.com -- Economic collapse drives workers into hunger and destitution. Foreign powers extort huge payments, forcing the national economy toward bankruptcy. The government forces workers to pay the costs of capitalist crisis. How should a workers’ party respond to such a breakdown? The proposals of the German Communist Party (KPD) included a simple approach to fiscal policy: tax those who own the country’s productive wealth. The KPD was then a member of the Communist International, whose leadership included V.I. Lenin, Leon Trotsky and Gregory Zinoviev. Fecha de publicación: 01/02/12 -- America XXI -- El concepto de gobierno de los trabajadores es el hijo torpe de la joven Internacional Comunista. La idea que expresa es fundamental para el marxismo: los trabajadores deben luchar para tomar el poder político. Sin embargo, en los comienzos de la Comintern, se unió a una perspectiva entonces discutible para los marxistas: que los trabajadores pudieran formar un gobierno que funcione inicialmente en un Estado capitalista aún existente. Como comenta el marxista francés Daniel Bensaid, “la fórmula algebraica del ‘gobierno de los trabajadores’ ha dado lugar a lo largo del tiempo a las interpretaciones más diversas, y a menudo contradictorias” . Veamos qué luz puede arrojar sobre esta cuestión el registro del Congreso Mundial de la Comintern de 1922, publicado recientemente en inglés . Esta fue la reunión que celebró la discusión más extensa de la Comintern acerca de la cuestión del gobierno de los trabajadores, y que adoptó su posición inicial. Asamblea obrera en la fábrica rusa Putilov, 1905. Fecha de publicación: 01/02/12 -- America XXI -- La discusión en idioma inglés de la Internacional Comunista de 1922, sobre el llamado a crear gobiernos de los trabajadores, se ha basado en un anteproyecto que fue alterado de manera significativa antes de su aprobación. Aquí, tomado de la primera traducción al inglés, está el texto enmendado que el Congreso realmente adoptó. El llamado a crear un gobierno de los trabajadores surgió a partir de las luchas de los trabajadores alemanes en 1920, como modo de plantear la necesidad de un poder de los trabajadores, en un contexto en el que no existían estructuras alternativas, como congresos revolucionarios o soviets. Soviet poster dedicated to the fifth anniversary of the October Revolution and Fourth Congress of the Communist International. January 1, 2012 -- Links International Journal of Socialist Renewal, for more articles by John Riddell, go to http://johnriddell.wordpress.com -- The concept of a workers’ government is the awkward child of the early Communist International. The thought it expresses is central to Marxism: that workers must strive to take political power. But in the early Comintern, it was attached to a perspective that was contentious for Marxists then and is so now: that workers can form a government that functions initially within a still-existing capitalist state. Let us see what light can be shed on this question by the record of the Comintern’s 1922 World Congress, recently published in English. This was the gathering that held the Comintern’s most extensive discussion of the workers’ government question and adopted its initial position. 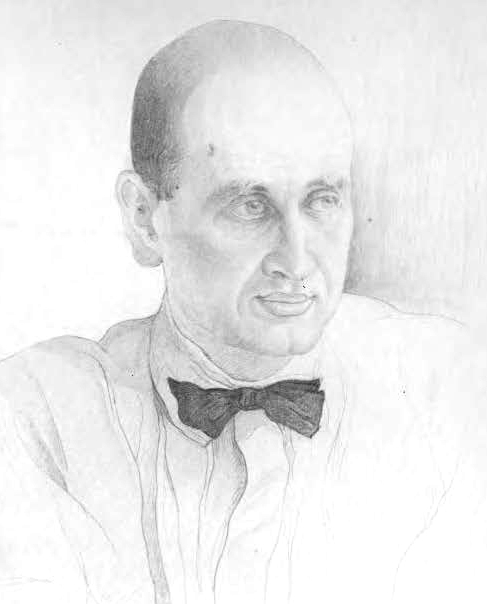 Communist Party of Germany (KPD) member Paul Levi played a leading role in several debates.